Driven by leadership values and marketing positioning in many cases and compliance and governance in other quarters, the business world is working hard to deliver lower carbon, sustainable environments that in turn support regenerative communities. But public and industry recognition for even the most commendable sustainability and CSR activity is a challenge, and demonstrating and communicating return on investment is essential. Sustain Worldwide has since its inauguration in 2010 become recognised as a foremost independent platform with enviable press contacts, positioned at the cutting edge of sustainability. In its role as an elite leadership organisation it brings together leading businesses with shared sustainability objectives to collaborate, innovate and create commercial opportunities that deliver triple bottom line stakeholder value. Now the Sustain press team has launched a unique, sustainability focussed boutique PR service for selected partners. 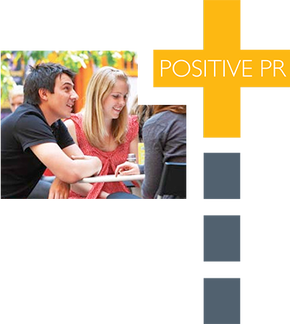 We will deliver your sustainability communications to the relevant media at the right time. In doing so we will generate favourable column inches for you to enhance your company's positioning and reputation. Our aim is to give you the competitive advantage you seek in a rapidly diversifying world where sustainability is increasingly critical to business success. We have delivered on target campaigns in consecutive years for partners with whom we work. Quite simply, we deliver a return on investment against targets. We believe in working to mutually agreed campaign targets: they motivate, they focus, critically they enable us to measure our performance against your expectation. Then, we report against the success - the articles and their £ value - on a monthly basis, included in the fee. So, if you like what you have read, and want a highly effective, results driven approach to delivering your sustainability stories and credentials, contact us.